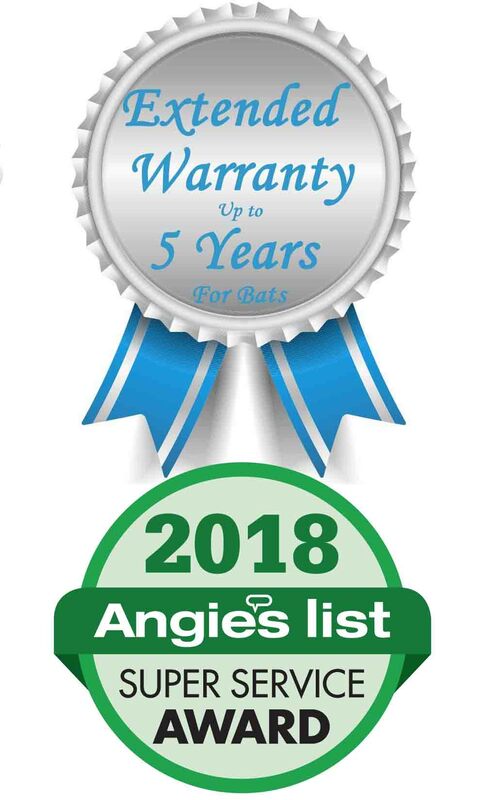 Bat Removal and Control Service Agreement | Critter Catchers, Inc.
During the first year, you establish a relationship with our team and we exclude the bats from your home using sealant, backer rod, screen or foam. Our job is to get the bats out, and it requires teamwork. We include up to 5 trips to get it right with a trained team that is properly equipped and motivated to get the job done. Sometimes customers need extra service, and excess trips incur a minimal charge to cover our technician’s time. We often recommend our Prevent-A-Mouse program to clear out mice, because rodents have an uncanny ability to gnaw entry points on a home. During the agreement period, if you experience bat activity inside your home (post eviction), we will return to your home and take necessary measures using caulk, foam, or screen to ensure the bats are properly evicted for no added material cost. Our service agreement covers omissions. Also, you don't have to call us to remove the one-way doors. We have it handled at the approprate time - it's our job. This approach requires teamwork, so please give us a call if you suspect bat activity in your home (such as scratching noise). We need you to be aware of your home and report any bat related activity inside the home. Having a bat enter a home should be as rare of an occurrence as having a bird enter the home. So if you discover a bat inside, we want you to call us for a re-inspection, so we can solve the problem. Please note that during the winter months, bats hibernate in walls and attics. If we perform an exclusion during this time, the bats will not be evicted until Spring, when they fly out in search of food. We have a nominal charge to remove bats from the living quarters during this time. During the summer months, bats fly on a regular basis. If you suspect bat activity, then promptly give us a call. We offer an extended warranty that can be renewed for up to 5 more years!